One thing that’s unfortunate about all of these long running television shows is that so many of them seem to be stuck in a rut. In many cases, it’s difficult to continue coming up with new things to say as the showrunners don’t seem to understand what made their shows popular in the first place. Another season of American Horror Story, this one subtitled Apocalypse, is in the books following its season finale last week. 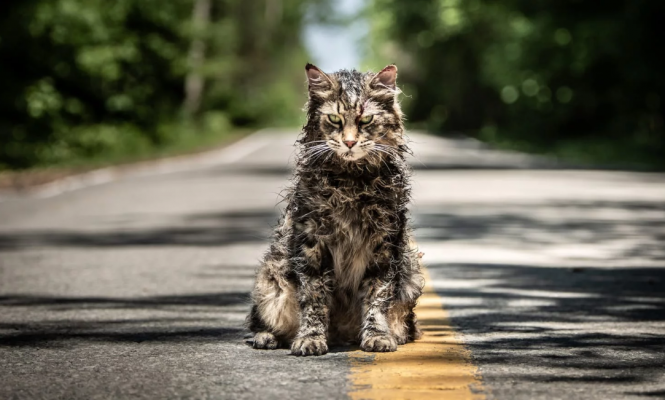 Although Apocalypse is a little more focused than, say, last year’s Cult, it’s still light on horror and heavy on cramming as much stuff into it as possible. Let’s take a minute to catch up a little on the series as a whole. American Horror Story premiered on FX back in 2011 with its first season dubbed Murder House. At this point, the show has run for eight total seasons with Asylum, Coven, Freak Show, Hotel, Roanoke, Cult, and, now, Apocalypse following up the initial season. The idea behind the show as it expanded was for each season to be its own self contained entity with many of the same actors portraying different roles. This idea was not something being done on television and was an interesting way to tell different horror themed stories each year. As the seasons wore on, there’d be some minor crossover between seasons with characters. For the most part, though, each season was its own story. That is, until now. American Horror Story: Apocalypse opens with mass hysteria as an oncoming nuclear threat sends people searching for shelter. Following the blast, the show picks up at Outpost 3, an underground fallout shelter housing people with strong genetic makeup. Wilhelmina Venable (Sarah Paulson) and Miriam Mead (Kathy Bates) manage the shelter and its inhabitants, hairdresser Mr. Gallant (Evan Peters), his grandmother, Evie (Joan Collins), talk show host Dinah Stevens (Adina Porter), the wealthy Coco St. Pierre Vanderbilt (Leslie Grossman), and her assistant, Mallory (Billie Lourd), among others. Soon, though, the shelter is infiltrated by Michael Langdon (Cody Fern), also the Antichrist, who seeks to bring those worthy to another sanctuary. 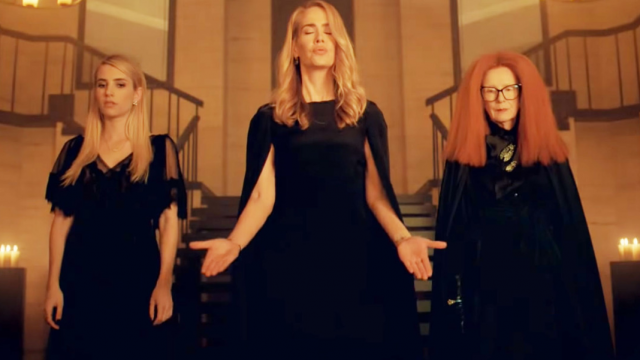 Later, Cordelia Goode (Paulson again), Madison Montgomery (Emma Roberts), and Myrtle Snow (Frances Conroy), return to thwart Michael’s plans. The first thing that fans will notice about this season of American Horror Story is that it isn’t as much Apocalypse as it is Coven Part II. For starters, there’s very little to do with the actual apocalypse beyond the first few episodes. Even then, those episodes mostly take place in the underground bunker. As soon as Cordelia, Madison, and Myrtle show up, after previously being the focus in Coven, the focus is all on “witches and warlocks” as Myrtle would say. In addition, the show jumps back to the events that occurred before the blast and not much time is spent in the post-apocalyptic world. While it’s nice to see these characters again, in addition to ones like Queenie (Gabourey Sidibe), Zoe Benson (Taissa Farmiga), Misty Day (Lily Rabe), and, of course, Stevie Nicks as herself, whatever happened to the “self contained” idea behind each season? Revisionist history doesn’t end there either as Apocalypse also revisits the first season, Murder House. In perhaps one of the best episodes, Madison and Behold Chablis (Billy Porter), a warlock assisting the witches, return to the titular house to learn more about Michael Langdon’s past. Here, characters like the Harmon family, Ben (Dylan McDermott), Vivien (Connie Britton), and Violet (Taissa Farmiga), are reintroduced following their focus in Season 1. Also, it’s wonderful to see Jessica Lange briefly back in the fold after a three season hiatus. There’s no doubt that when she left the show, the quality suffered overall. For fans of the series, Apocalypse does offer up some of the goods. Again, revisiting fan favorite characters and locations is the some of the most fun you’ll have throughout this entire new season. Though, how far do these things actually go in creating a truly entertaining story? Sure, bringing back the witches from Coven and catching up with the ghosts of Murder House provides some serious fan service even if it does get messy with some cast members playing numerous characters. Yet, it doesn’t really make you care too much for the Apocalypse theme. 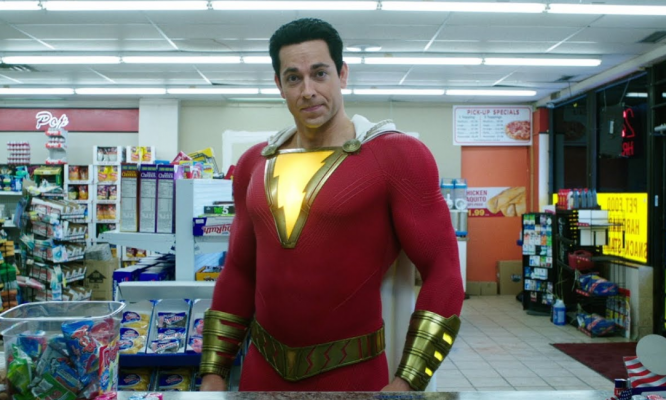 This season relies so much on its viewers’ nostalgia for the previous seasons that it never takes the time to establish itself as a separate story. It’s hard to see the point of even continuing to provide themes for each season if the show isn’t going to abide by them. American Horror Story has always had an issue with trying to do too much in each of its respective seasons. Way back during Asylum, the alien subplot was, admittedly, pretty stupid and unnecessary. Since Hotel, though, the show has simply gone way too far. Again, the showrunners can never seem to simply focus on their theme. There’s no reason to have a themed show that isn’t going to follow its own rules. The idea of a haunted hotel, based loosely on the Cecil Hotel, is an interesting idea in itself. Then, you have a vampire subplot thrown in for seemingly no reason. For Roanoke, the theme of a show based on a colony that mysteriously disappeared is, again, an intriguing idea. Why not add an entire reality TV spin on the experience? There are so many instances where the showrunners, Ryan Murphy and Brad Falchuk, seem like they just can’t grasp what makes their show appealing to audiences. This causes them to just load each season with that dreaded “stuff” we like to mention here on this site. Regardless, American Horror Story isn’t all bad throughout Apocalypse. The cast, as has always been the case, is easily the best part. Series regulars like Evan Peters, Sarah Paulson, and Kathy Bates provide fun moments throughout. 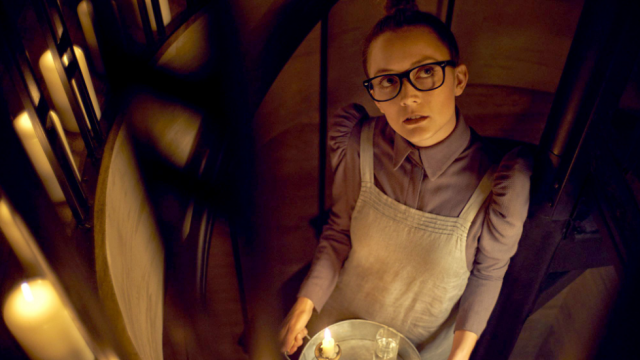 One of the true standouts over these past two seasons has been Billie Lourd and she’s good again here. Her character is kind of an afterthought at times but her performance definitely saves the lack of development. 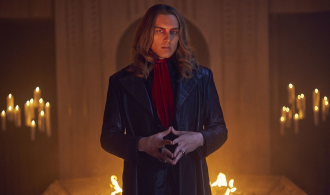 Sprinkled throughout the rest of the season are loads of American Horror Story alum with seemingly only Cody Fern making his debut for the show. As long as the showrunners can keep the cast together, the show should have a built-in audience. Most of this may sound like relatively minor gripes but they’re gripes that have been building for multiple seasons now. The last few seasons have felt so cobbled together and sorely lacking in originality. 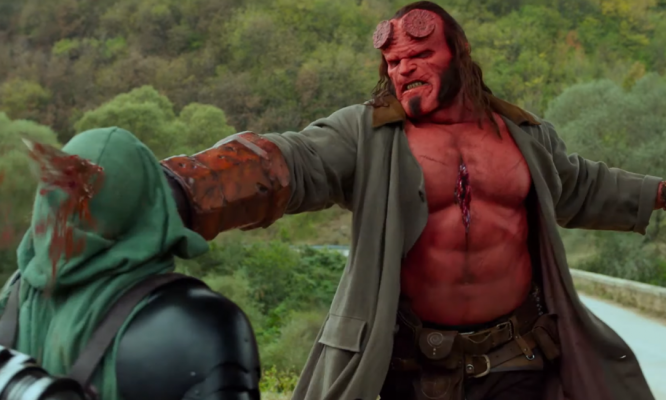 There are so many things someone could do with the idea of the apocalypse and the show decided to rely on fan service. It just seems like the creativity and vision for American Horror Story has dissipated at this time. The fractured plot is meaningless and there never seem to be any real stakes for the characters. For a show subtitled Apocalypse, that’s a big misfire. When compared to something like Cult, American Horror Story: Apocalypse is worlds better. Yet, it still reeks of a show that has seriously lost its way.